Between 2012 and 2013, 70 percent of European communications professionals experienced one or more online crises, according to a study published in the Public Relations Review. There are signs though, that clue you in if you’re about to face an online crisis. This includes if you've been experiencing high volumes of negative brand mentions, or if you’re dealing regularly with team members who post insensitively on social media. However, sometimes the signs of impending doom are more like a gentle tap on the shoulder than a punch across your face – other times they can come out of nowhere. For instance, you might post something on Facebook you had no idea would cause an online crisis - only to find yourself slap-bang in the middle of one. German skincare brand Nivea is a prime example of this. Recently, the company had to pull one of its deodorant adverts that had been published on Facebook for their Middle Eastern market. The advert declared “White is purity.” Although it was supposed to promote the company’s deodorant that promises no stains on black or white clothing, the ad was seen as racist by the public and they faced major backlash from many social media users. Nivea eventually apologised for the mishap, claiming that they hadn’t intended for the message to be misleading. By that time it, it was too late. This type of brand crisis could have been avoided with the proper planning. Fortunately for you, we'll be discussing 6 precautions you can take against having an online crisis. The above example shows how important it is to check everything that your company publishes on social media. 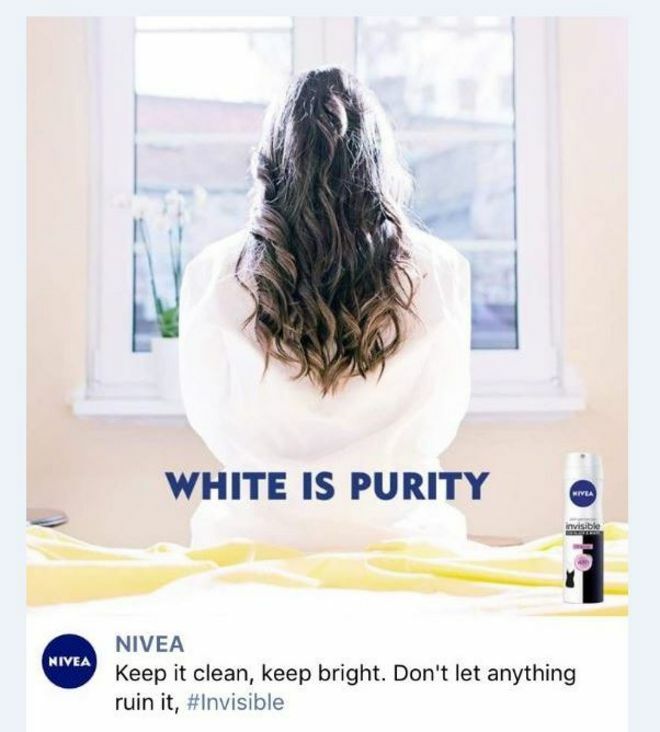 Nivea’s apology was a way to rectify the situation and try to understand what its customers were thinking, and it highlights one of the most important things you should do for your company: have a social media crisis management document to help you navigate disasters that can crop up despite your best intentions. In this document, you and your team need to include examples of events that could impact your business negatively, along with detailed information about them. For instance, who will be the most negatively affected by that specific crisis, who should respond to the crisis, and how should they respond? Remember the Volkswagen emissions social media disaster of 2015? That’s a clear example of how not to respond to dissatisfaction as it can lead to a crisis. The Environmental Protection Agency claimed Volkswagen was manipulating its engine control so that it could pass emissions tests, violating the Clean Air Act and its consumers’ trust. Volkswagen executives replied, claiming they didn’t know about the violation, only to change their stories later. It made the situation much worse, creating more damage than doing damage control. Having a clearly defined crisis management strategy for your company that offers your team ways to handle crisis effectively is important to prevent larger disasters from happening. Has there been any negative feedback about your company in the past? Even the most loved brands will get a few unfriendly comments now and then. You should be recording and responding to these, otherwise they could come back – or growing into a bigger crisis. You never know when one complaint could actually be a sign of a bigger problem of your company, such as an unsatisfactory product or discontent employees. Create social searches and news searches for such comments so you can deal with them accordingly. But bear this in mind: a 2014 study found that 31 percent of tweets that have company names in them don’t include their Twitter handles, which can make finding them tricky. For this reason, you'll want to use a tool that tracks your business' mentions across social media and the web. It’s not enough to monitor what people are saying about your business on social media. You have to follow people who have their finger on the pulse of industry trends, such as journalists, analysts and influencers. Following these well-informed people will allow you to stay up-to-date on important events in your industry before it affects you. For instance, if new climate regulations that affect your company have been introduced, commenting or responding to them before they start trending on social media positions you as an informed and responsible business. Learn essential PR tips from three experienced journalists. What classifies as unusual activity on your company’s social media accounts? Examples include if there’s been a sudden increase in your brand mentions or negative comments, or if there are comments that are coming from people outside of your geographical location. Use a tool that helps you keeps track of unexpected social media activity for you in real-time. Don’t just write unusual activity off. These comments can escalate into a social media crisis that put your brand’s quality and image in question, so you want to respond to all comments in a professional way, whether they appear to be spammy or not. Even if you decide not to take them seriously, potential customers may. Never respond in a way that makes your company seem brash or rude – if you wouldn't say it to your boss, don't say it on social media! You'll naturally want to promote your company and its services on your social media pages, but doing too much of this can backfire. A recent study by Fractl and Buzzstream found that people are most likely to stop following a brand if the content is 1) too self-promotional 2) provides little value, and 3) if they post too often. Make sure that the content you post is relevant to your followers and allows them to gain something from it, such as industry insights or best practices they can learn from. The best way to promote your business is to showcase value to your customers. By showing customers how your products can help them, they’ll be more likely to want to engage with you. You shouldn't try to have an one-size-fits-all approach to deal with complaints, but having set guidelines to follow for reoccurring situations can actually help you respond to complaints more efficiently. Here are some different types of complaints on social media that you can create guidelines for your community managers. This is when many people are commenting on the same subject, or expressing similar complaints. If there are many people to respond to, your social media manager might end up giving cookie cutter responses, which could make people more upset. Instead, post a comment or video, offering a solution to the problem so all your followers will be on the same page and receive the exact information you want them to know. This puts you in control of how your company is being seen and puts the focus on the facts and solutions. Make sure you respond to every criticism and complaint, even when people are emotional or difficult to deal with. Tailor your response to the person’s specific needs. For instance, if your customer is unhappy about how he/she hasn’t received a response to their email, simply saying you’re sorry isn’t enough. You have to provide a clear solution, such as providing them with an estimate of a response time. It’s also a good idea to listen first than jump in with a solution immediately. Sometimes fans on your page engage in a debate amongst themselves online forums or review sites where you aren't tracking. For instance, if your customers discuss on a forum that they were dissatisfied with your company's customer service - it may spread across the web. You don’t have to get involved, but you should monitor the exchange. If you notice any comments that reflect negatively on your brand or service, you should jump in and clarify the situation. Offer solutions to the problems customers are facing so you can prevent future problems. It’s not always easy to know when a social media attack will strike. That’s why social listening and monitoring is so important. By following a clear and practical strategy, such as staying up-to-date on what customers are saying, recording feedback you’ve gained in the past, and following competitors as well as industry experts alike - you’ll be better prepared to effectively handle a social media crisis. Not sure where to start? Check out our case study of 5 awful PR crises we can learn from. Ms. Sandwood is a professional freelance writer with more than 10 years’ experience across many fields. She has a particular interest in issues relating to mental health, fitness, and nutrition. She can be reached at janesandwood.writer@gmail.com.